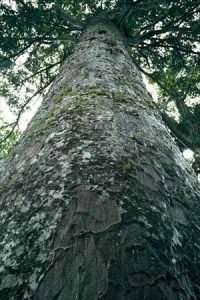 e puawai ama he Kauri. From a small seed, a tall tree will blossom. Welcome to the Kauri Syndicate. Our intermediate years at Greytown School are full of exciting moments both in and out of class. They really are two years of action pact learning! We have three classrooms of Year 7 and 8 children in our learning family who work collaboratively. A big focus on learner agency and developing a solid foundation of learner habits that will set children up for life-long success eg: Growth Mindsets, Collaboration skills, Time Management, Critical and Creative Thinking etc…. Opportunities to deepen our learning through individual and collaborative Passion Projects based on our Inquiry Model (IDEAS – Ignite, Dig Deep, Explore, Action, Share and Reflect) and Design-Based Learning Philosophy. An extensive EOTC programme eg: Caving, Mountain Biking, Rafting, Off Track Navigation Skills, Abseiling, Search and Rescue Scenario at Mount Holdsworth…just to name a few. A mixture of traditional “book” learning and digital learning with each child having access to their Google Classrooms and a multitude of apps for learning on a 1-1 Macbook Air and class iPads. We have a wide range of leadership opportunities and training eg: Head Boy/Girl, Deputy Head Boy/Girl, Peer Mediation, Black Hats, Young Leaders Conference, Librarians, House Captains (Sports, Cultural and Curriculum)…just to name a few. Technology at Kuranui College once a week (“Master Chef” Food Technology, Music and Production, Hard Textile Design). To see what we are all up to come and visit us, look at our Seesaw pages or check out our School Facebook page.